Once again, you all have said what needs to be said as we anticipate another James Bond film into production. Of course, there have always been degrees of mythology. Stories that conflict, then perpetuate unresolved in perpetuity. As a result, I’m convinced anything new we may yet here about the 007 legacy of the 1960s is certainly lost; all no more than spun wool. Feels like its accelerated in the last decade, though. Can anyone think of a dumber plot for a Bond movie than Haggis’ idea about Bond looking for Vesper’s kid? “Quantum of Solace” has the hallmarks of a film that did not have a finely-tuned screenplay. And I say this as a fan of the movie. So I’m more inclined to lean towards Craig’s story. Though the truth, no doubt, lies somewhere in the middle. Is it really axiomatic (“no doubt”), Paul, that the real story is somewhere in between? Sadly, I’ve found this too often not to be the case. Moreover, the further in time from the event being characterized, many times, the less accurate the story. Except, you know: When it does to anything related to US politics. Yeah, Justin Bieber playing the kid. “Moonraker” gets a bad rap, but for years it was the #1 Bond box office draw, and the effects hold up very well. I’ve witnessed live space shuttle launches, and Derek Meddings nailed it pretty much like they happened two years before one was launched. As for Quantum, it fell, in my opinion, into what many movies do today – set pieces from a formula. There has to be A,B, and C so D can explode. A real lost opportunity with that movie, as “Casino Royale” had taken those set pieces and turned them upside down and made original entertainment. The Bond producers have a habit of a real strong, film quality debut for a new Bond and then the next one will fall back to the campy, stunt laced bits that a viewer can see on almost any cop show. Agree with Shelby on “Moonraker” here. In a lot of ways, it’s not only under-rated (it scored higher than 3 other Eon Productions 007 movies in my own ranking), but also a reality splash of cold water in the face of those who worship at the alter of box office receipts. 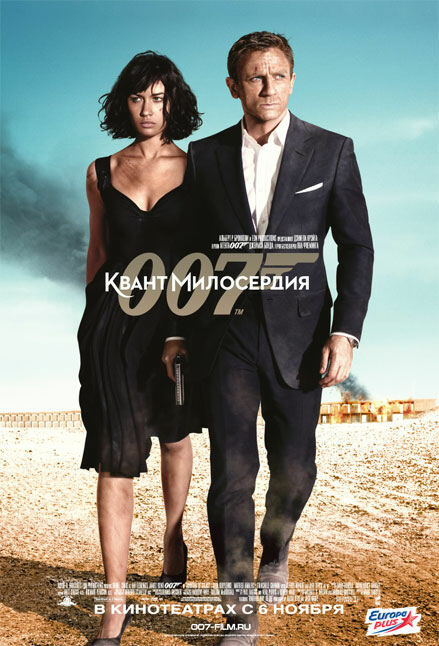 “Casino Royale” (2006)–? Ranks number 10, just behind “The Man with the Golden Gun.” Both of the James Bond movies starring Timothy Dalton beat it, too.